My first introduction to Kate Morton's writing was The House at Riverton. 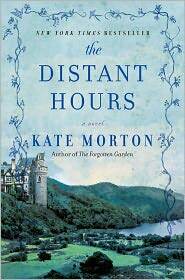 A Gothic tale, told within multiple timelines, and secrets galore, The Distant Hours is no different in that respect. However, I should start this post by asking you a question: When you were a kid, what was the story that grabbed you? Held you speechless as you turned each page and introduced you to the world of imagination and possibility? I can think of a few titles that capture this feeling for me, but for Edie in The Distant Hours, there will only ever be one. It is a celebrated classic, one that is a horror story of monumental proportions, but is simultaneously literary. The Mud Man, by Richard Blythe, a tale of horror, intrigue, and disturbing events that shake a young mind to their bones - this is the story that made Edie fall in love with books. As an adult, she now works in the publishing industry and has a somewhat strained relationship with her parents in which not much is shared about their young lives. Disjointed this may be, Edie is aware that when her mother was a child, she was one of the many evacuees in England during World War II, and was the only one safely stationed at Milderhurst Castle. Already a Gothic and mysterious home it is even more so filled with secrets since this was the home of the very author of The Mud Man. Edie was always curious about her mother's relationship to this castle and the family, and while on a business trip, she decides to take a slight detour and visit the famous castle. While there, she meets the three daughters of Raymond Blythe, now much older while on a tour of the house, and is invited back much later to write the introduction for the release of a new edition of their father's famous story. Back and forth between the 1930s and the 1990s, and told from different characters' perspectives, this is simply haunting and Gothic, through and through. Where did the story of The Mud Man truly come from? Why is the oldest sister, Percy, so gruff and cold? Why is the youngest, Juniper, still waiting for her fiancé, even though it's been over fifty years? And what really was their relationship with Edie's mother? Once again, as with The House at Riverton, I find I'm always mesmerized with the mystery, the characters, their sadness, and their regrets. The story is creepy and detailed, and while I thought the end was a bit too nicely wrapped up for this eloquently haunting story, I was absolutely satisfied yet again with Kate Morton's work. I look forward to downloading another audiobook from her, and Caroline Lee as the narrator was extremely impressive. My first time listening to her voice, and I look forward to more. 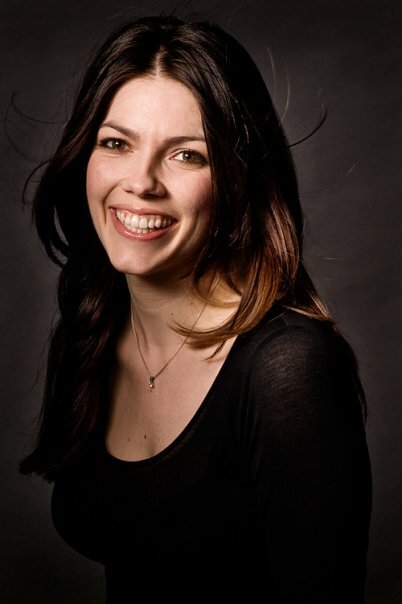 Kate Morton, a native Australian, holds degrees in dramatic art and English literature. She lives with her family in Brisbane, Australia. She is the author of The House at Riverton, The Fogotten Garden, and The Distant Hours. Click here to visit the author on Facebook. The Forgotten Garden by Kate Morton is one of my favorite books and I have heard/read rave reviews about all of her other novels. I am glad you liked the narrator...the narrator can make or break my enjoyment of a book. Lisa@Buttery Books - I am excited to download The Forgotten Garden! I have to check on your site to see what delectable recipes you've prepared to celebrate this story! Natalie....Glad you enjoyed this one. I read (and enjoyed) her first two books, but haven't read this one yet. Nice review. I've been on the lookout for a good audio book - I'm really picky about them. Plus, I've wanted to read this book - so I think it's a win-win. I love love love Kate Morton's books. I have never listened to them on audio but I'm sure I would enjoy them. This book was wonderful! Glad you enjoyed it. I wasn't as big a fan of this as her other books - I will still pick up her next book though. This was the first of her books that I've read and while I did really enjoy it I thought it dragged a bit. I've read other reviews that say this is good but not the best of her books so I still want to read her other books. I've never read any Kate Morton. I like the sound of this one more than The House at Riverton. This is a book I have been meaning to read for the longest time, but haven't made the time for it yet. I think one of the things that has held me back has been the length. It does sound like it's a very interesting book, and like one that would really keep me enthralled. I also like the mystery surrounding the Mud Man story. I might have to dig this one out and get into it soon. Great review, Natalie! I've read Riverton and Distant Hours as well (both on audio). Lee does an excellent job, and the stories are delightfully gothic! She does make you work for your entertainment however. It seems like maybe her stories are a hundred pages too long, but by the end, you don't care. I haven't read Morton's work yet, but I really want to. If I could figure out a way to go without sleep maybe I could read all the books on my list. You know I recently bought this authors book after hearing so many positive reviews (The Forgotten Garden). Sounds like a great read, this is on my list. I've only ever read about half of one if her books and then had to return the book to the library an never finished. This one sounds really good!! I don't think I had any books like that for me when I was a kid though. This was the first book I read this year and I quite enjoyed it.